1. 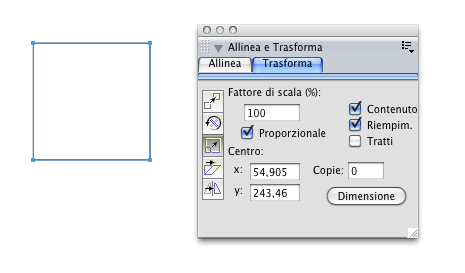 Set document scale — so that inches or points can be converted different dimensions. One can imagine a carpentry project where 1 inch = 2 ft for example. In my case here would be the most convenient workflow: open a raster image of a map with a scale bar, drag the mouse along the scale bar (or any feature of known length) and then type in the distance represented on the map (e.g., 100 m, 10 km, etc.). The scale would be set automatically. 2. Scale object — I mentioned this briefly in a post on a different topic but thought it would be more useful in a dedicated post on scaling. One should be able to specify the change in size (or shape) of an object in a dialog box where you specify the horizontal and vertical scaling factors (either proportional or non-proportional) by either percent or by entering a ratio. Thanks for the feedback. Items 2 and 3 are already on my list. Great news! I didn't see scaling listed explicitly in the Affinity Designer feature roadmap post, but maybe I didn't look closely enough. I'm really enthused about the direction that AD is going. I've spent something like 20 minutes to find how to set the size of an object. I thought I was just missing the place where to look, because I couldn't believe a feature as such was missing, and now I see that is indeed missing. Ok, this one is about scaling, whilst I'm talking about precise sizes, but since this usually (in other apps) is part of the same feature, I suppose they will both implemented sooner or later. The transform panel lets you set the size of an object. The transform panel will also let you scale objects by typing things like w+20%. The transform panel has always had these capabilities but we still plan on adding a set of transform commands as it will give more flexibility for things like transform each etc. The transform panel will also let you scale objects by typing things like w+20%. Cool! It also allows you to enter 0.5*w.
I get the impression that AD is full of hidden gems like this! Hello, i purchased Affinity Designer one week ago (the main reason was: it opens my old Freehand files!) and this morning I was trying to use it for my first work. But I immediately discovered that there is no Scale % option in the transform palette. I had to scale a picture in the background by 114,2% and I cannot. Please add this ESSENTIAL option! Any chance item 1 of the original post will be addressed. That would be super useful.